I burned out early. I was done being a doctor at the end of fellowship. Although I took a job as a critical care physician, I desperately sought to alter my career somehow. I looked into website development, something I had been good at in high school. I took a few refresher classes on my days off and started coding my own sites. Luckily, my first job out of fellowship accepted many of my schedule demands, such as day shifts only, and after about a year I recovered and remembered why I had loved medicine to begin with. Critical care physicians have the highest burnout rate with 55% experiencing burnout and 1 in 3 experiencing severe burnout. The Maslach burnout inventory defines three stages: emotional exhaustion, emotional detachment, and diminished personal accomplishments. Last year, the Critical Care Societies Collaborative (CCSC) identified the factors contributing to burnout were personal characteristics, organizational factors, quality of working relationships, and end-of-life related factors. However, the most noteworthy independent risk factor was female gender. As the sole female provider in my male-dominated critical care group, I often wondered how and why women experience burnout differently. February 3rd, Dr. Elizabeth Blackwell’s birthday, is now marked as National Women’s Physician Day. This day is a great time to reflect on workplace gender dynamics and unconscious societal biases that may contribute to this phenomenon. Female admission rates into medical school are now 50%, and the nursing force is still predominantly female at 80 to 90%. A study conducted in the Netherlands identified that female physicians are subject to societal biases, stereotyping, and an unequal division of household labor. It is important to recognize what affects our female colleagues since the statistics of female physician suicide is shocking. The suicide rate for female physicians is double that of the general female population. A meta-analysisof 25 studies published after 1960 found the aggregate suicide rate ratio for male physicians as compared with the general population was 1.41, while the ratio was 2.27 for females. Even more disheartening is that these numbers are still high today. The CCSC call to action advises several ways to combat burnout and promote physical and mental wellness in health-care providers. It includes a combination of several environmental, team-based, and practitioner-focused interventions. Overall, enhancing the ICU environment and helping individuals cope with their environment have been shown to be effective, yet more research is still needed to tailor specific interventions to at risk groups, such as female physicians. I remember leaving my 12-hour shift at 8 pm, only to find myself at the grocery store at 9 pm and cooking dinner at 10 pm for the following night’s meal in anticipation that I would be exhausted the next day from another 12-hour shift. I took in a glorious moment to envy my male colleagues who likely had a delicious home-cooked meal waiting for them the second they walked through the door. Here I was, all alone, fending for my wellness, my exhaustion, and my pride. I can’t control the gender differences in society or my grueling schedule, but I didn’t dwell on it and that makes me happy for now. Join the conversation on twitter using #stopICUburnout and #NWPD. Dr. Khan, otherwise known as the female doc, has been a critical care attending physician for 4 years. A strong advocate for women in medicine, Dr. Khan has been a powerful thought leader in the medical community, and has given lectures in several countries on gender workplace dynamics and contract negotiation strategies for women in healthcare. 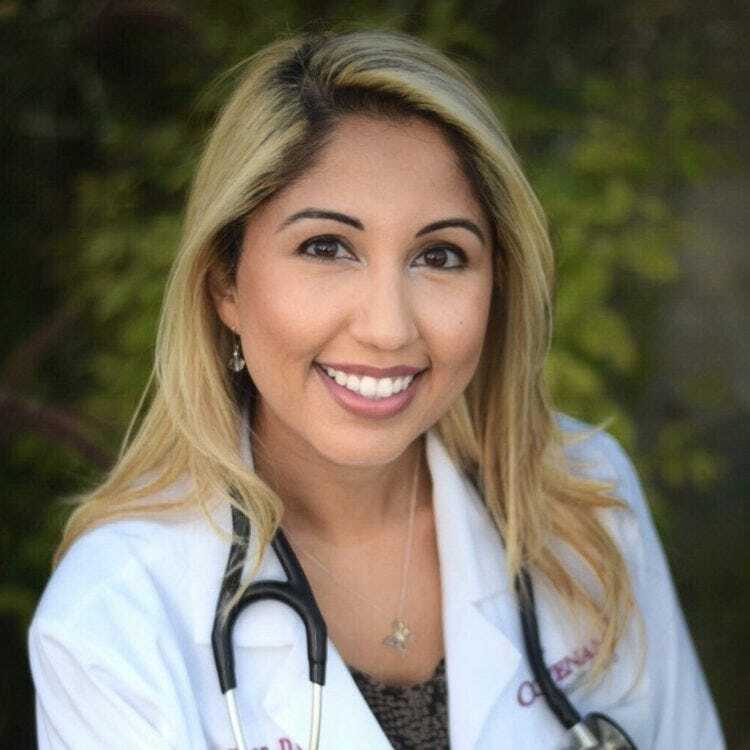 Dr. Khan currently practices and teaches critical care and neuro critical care medicine as an assistant professor of clinical medicine at USC in Los Angeles, CA.